Welcome to the first Saturday of the month! You know what that means at Bugaboo, right? YEP! It's the ANYTHING GOES challenge. Always our most popular challenge because you can enter ANYTHING you want in our challenge and be eligible for prizes this week. Isn't that sweet? I just love Jodie's images..one is just cuter than the next. Now it's your turn. Make something and enter it in our challenge over at Catch the Bug. You could win 10, 6 or 4 Bugaboo images of your choice! Can't wait to see what you create! Oh what a cute card you have made. I just love those cuddly lions. 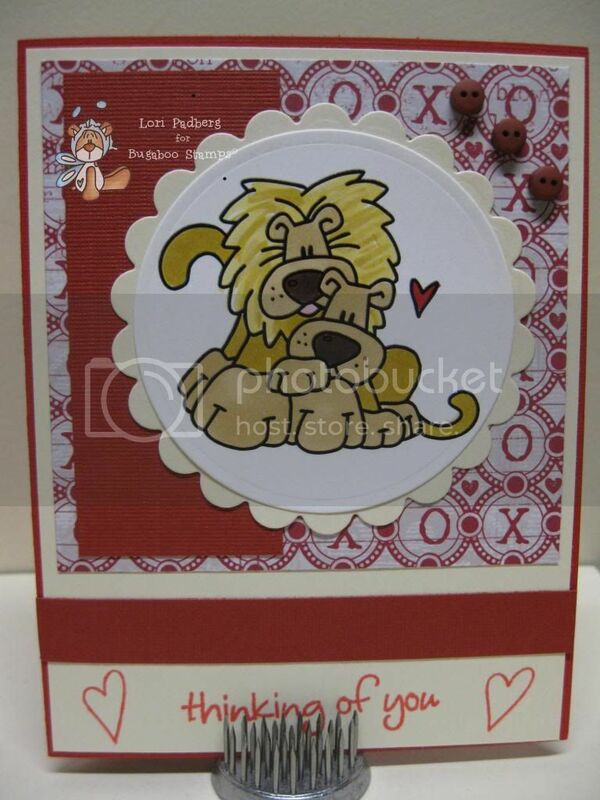 I love your papers and buttons with these adorable little lions.